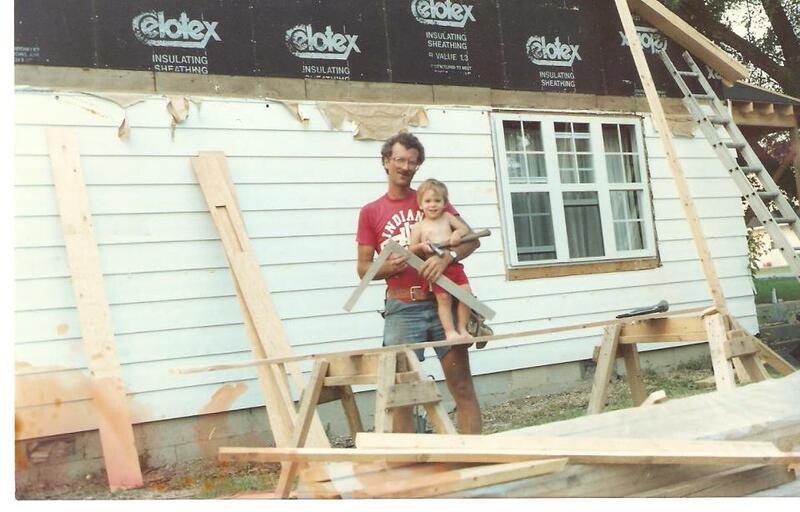 My dad puts me to work on the house I grew up in, circa summer 1989. From my desk chair at Angie’s List, I watched two men walk around on the roof of another building. It was wet, and the shingles must’ve been slippery. But there’s something about standing on a roof and looking out over your surroundings. It’s freeing. I stood on top of that building once—before there was a roof, before my dad hauled up trusses and shot them into the plate I helped secure. I was in high school, and still worked at an ice cream shop. I stood on most roofs there, and watched people work at the company since it was less than a hundred people. I watched Derby Days. I stood outside their circle, on the roof. 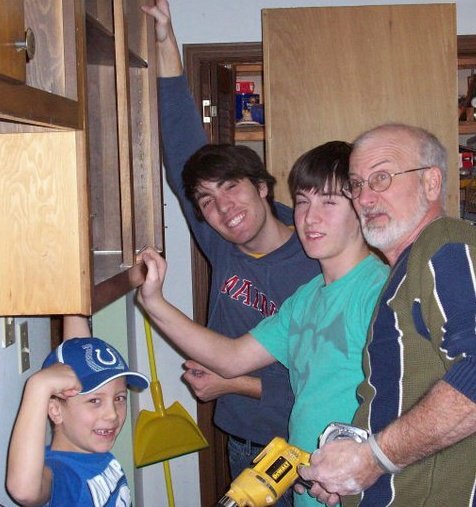 Hanging cabinets in my parents’ kitchen with my dad and brothers. Though I started going to work with my dad at age four, I first remember doing something useful there. In the basement of what’s now called the Penthouse, my dad taught me how to pull nails with a hammer. I was seven, maybe eight. Leverage was my downfall, but became easier as I grew older. I pulled nails because the man who owned the buildings, Fred, was so cheap. Yet he hired my dad to build a workshop in the basement, instead of renting the space to another company. Right now, only Angie’s List is in that building—and the buildings around it—but when I first worked there, probably a dozen companies rented spaces. Fred would call my dad to move walls, to customize the spaces for the current lessee or the next one, and I would tag along, usually on weekends. 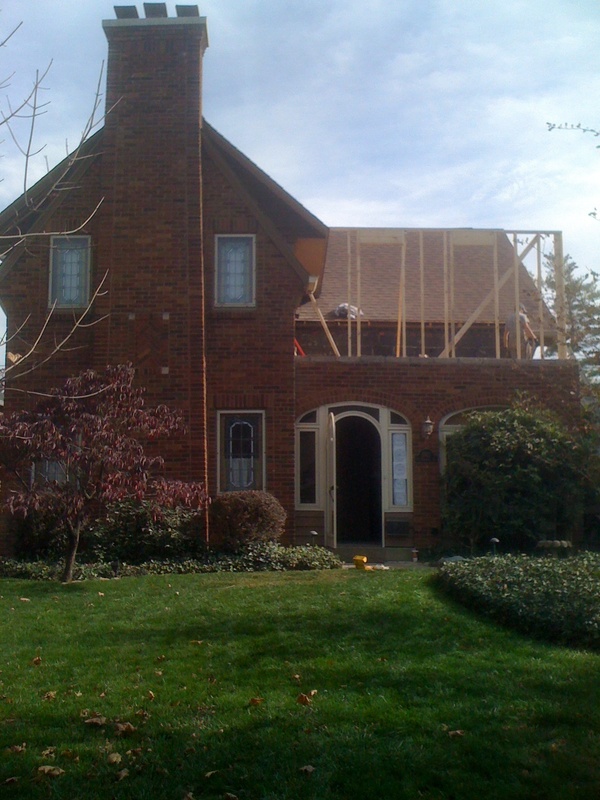 Framing an addition in Meridian-Kessler. Construction doesn’t have a greater meaning. In my mind, meaning is a measure of how big a ripple a person makes, how deep one can carve into the tree of human history. If we push hard enough ahead, or against the grain, we’ll make a dent, an impression that people can see for years to come. It’s a mental construct to prove to ourselves our own power. Remodeling, however, literally reconfigures pieces of the world. No need to convince yourself you’re powerful—you see it every day. From the time I was seventeen, I built five days a week. Then I got this idea that I wanted to write, to study writing, to go to college like I watched friends do. And when I graduated in May, I became a staff writer for Angie’s List Magazine. I said Aloha to writing—and Aloha to construction. 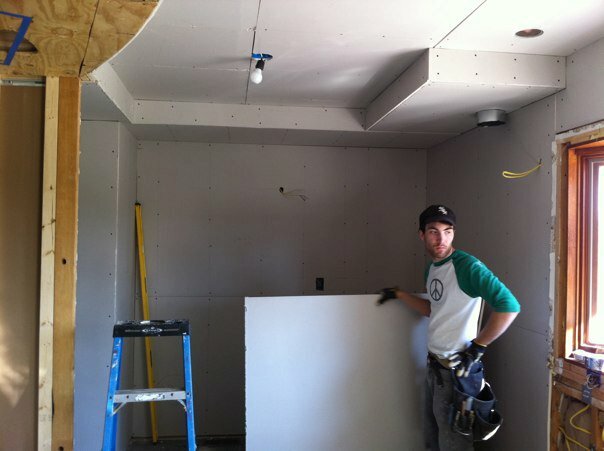 Hanging drywall, looking wistfully out a window. Like a putz. When I miss it now, I have to remember the reasons I quit. I wanted to do something creative. That’s not to say remodeling isn’t creative. It’s constant problem solving; you never know what you’ll find when you open up a wall. But being privy to the daily lives of strangers is stressful. They’re watching you work, either curious about what you’re doing or judging based on their personal opinion whether you’re doing things right. It was hard to bear. Still. Part of me is construction, in the way I put sentences together, building a piece at a time. I write the foundations, then framing, then add the trim, finishes. Part of me craves hard work, wants to sweat and go home feeling tired but virile each day. I recognize this. You can call me neurotic. Still. I would travel both, if I could.